Declining Eye Health-What Can You Do? Your Eyes are the “Gateway to Your Soul” Good eye health and eye care are crucial to preserving your vision, treating eye problems early, and protecting your overall health. Your eyes are the “gateway to your soul,” and they can also reveal common or serious health problems — such as diabetes, cardiovascular disease, cancer, and HIV. 1Vision Problems Rising Rapidly in the U.S.“The increasing diabetes prevalence in the U.S. is leading to more vision loss,” says researcher David S. Friedman, MD, PhD, MPH. He is the director of the Dana Center for Preventive Ophthalmology at the Johns Hopkins Wilmer Eye Institute and Bloomberg School of Public Health in Baltimore. “We have to recognize that this is a large public health problem so we can start developing methods to deal with it.”The findings appear in the Dec. 12, 2012 issue of the Journal of American Medical Association. Eat right to protect your sight. You’ve heard carrots are good for your eyes. But eating a diet rich in fruits and vegetables, particularly dark leafy greens such as spinach, kale, or collard greens is important for keeping your eyes healthy, too. Research has also shown there are eye health benefits from eating fish high in omega-3 fatty acids, such as salmon, tuna, and halibut. Consider Organic Red Palm oil. We give it to our parrots too. It has lots of betacarotene as well as being a good fat. 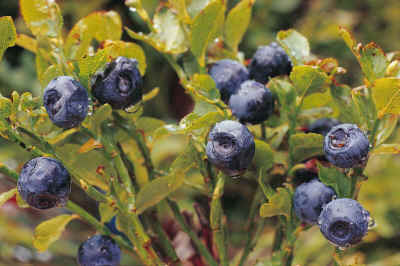 Bilberry jam was consumed by the British Royal Air force (RAF) pilots to improve their night vision. Recent literature suggests vitamin D deficiency is widespread, especially during winter months in cold climates. Research suggests vitamin D is associated with a lower risk of macular degeneration. We recommend supplementing with Bio D Mulsion from Biotics (available in Canada in 400 IU and 1000 IU and in the US in 2000 IU) especially in areas like Canada, Northern US and other parts of the world where sunlight is limited for a great deal of the year. Supplementatioon should not be necessary during July and August. Also, keep in mind that we absorb the light through the palms of our hands and soles of our feet (they are our solar panels) so for 3 minutes a day go outside and hold your palms up to the light. i Age-Related Eye Disease Study Research Group. The relationship of dietary carotenoid with vitamin A, E, and C intake with age-related macular degeneration in a case-control study. Archives of Ophthalmology; 2007; 125(9): 1225–1232. 1 www.webmd.com*These statements have not been evaluated by the Food & Drug Administration. These products are not intended to diagnose, treat, cure or prevent any disease.